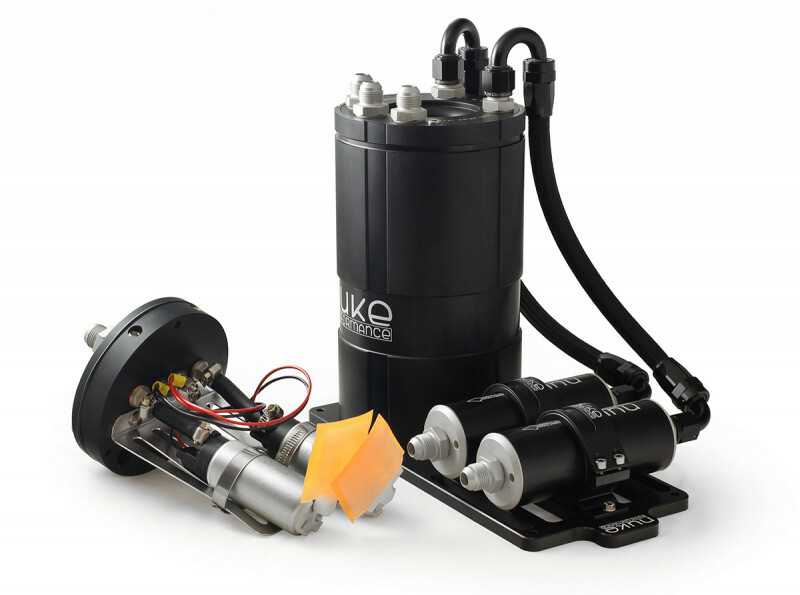 This kit combines Nuke's popular and high quality fuel surge tank with all the pieces to easily mount the tank and filters in a clean self-contained and bolt-together unit. 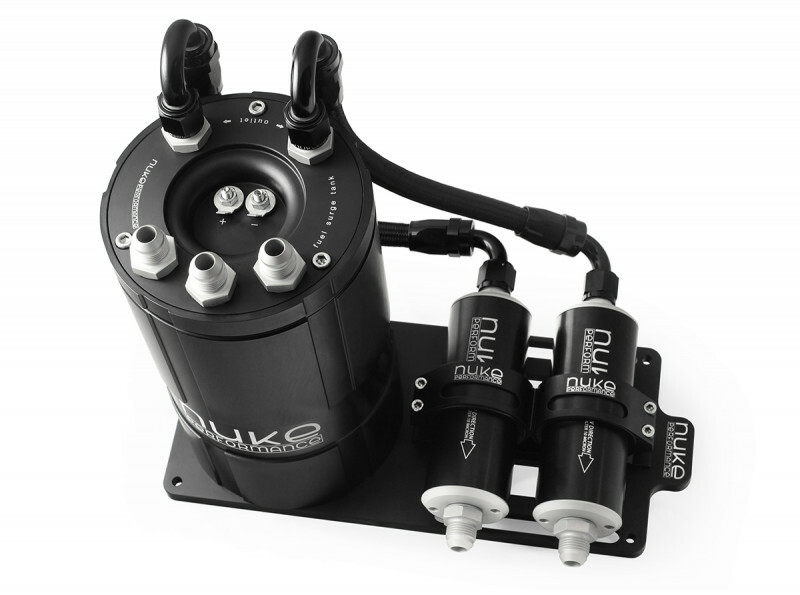 Designed and manufactured to handle extreme amounts of power with the same hallmark as all of Nuke Performance products, this kit will ensure that your engine has plenty of fuel to power it. With this tank kit you minimize the risk of fuel starvation when running at low fuel level, especially under hard driving such as drifting, drag racing and track days where you can exceed 2g that could result in fuel loss.  For use on turbo-charged, super-charged and naturally aspirated engine applications, this kit is also designed to stand up to the destructive properties of alcohol fuels, including methanol and ethanol. 5x 3/4 AN8 fittings for all the top cover connections and 1x 3/4 plug if you choose to use it for a single fuel pump. For use with Bosch 040 internal fuel pumps. No fuel pumps are included in the kit.